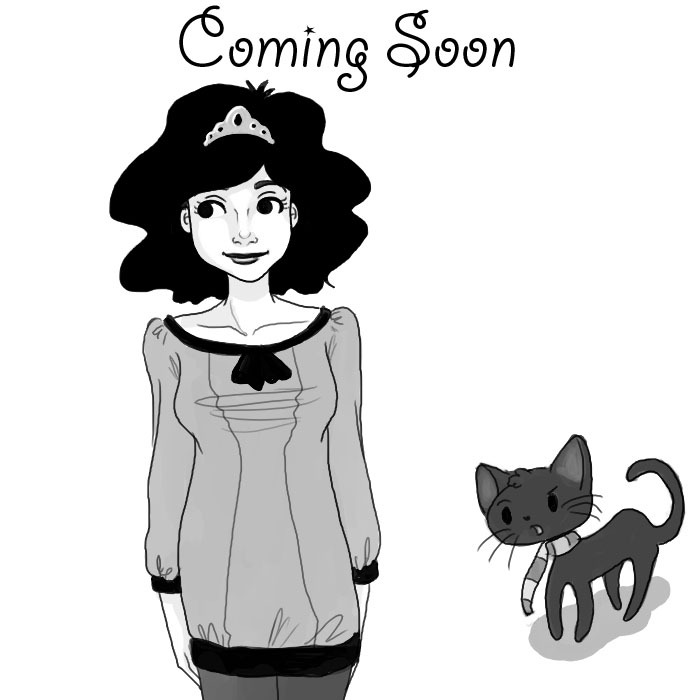 Knit Princess is the adventure of a knitting obsessed, movie loving, unemployed girl. Come see how she deals with unemployment, power outages, cat drama, and her long suffering roommate. hmmm, I have no clue why I drew her leaning to one side. Haha, I think the cat’s expression makes up for that. I don’t know, I kind of like her a little off balance. Perhaps it’s because her right brain – artistic, random, intuitive, holistic, subjective, visual, multiprocessing – is heavier, so she’s tipped to that side. At first I thought it said this was brought to us by Dye-namics Yam. Thanksgiving leftovers… yum. She kinda reminds me of Fran Drescher. It’s the call of the yarn. It’s a magnetic field that can not be ignored.